The activation of T cells is required for the efficient transduction of cells with foreign genetic material, such as vectors expressing chimeric antigen receptors (CARs) or modified­ T cell receptors (TCRs). See MoreThe reprogrammed T cells can then be expanded for further analysis, cryopreservation, and possible infusion. 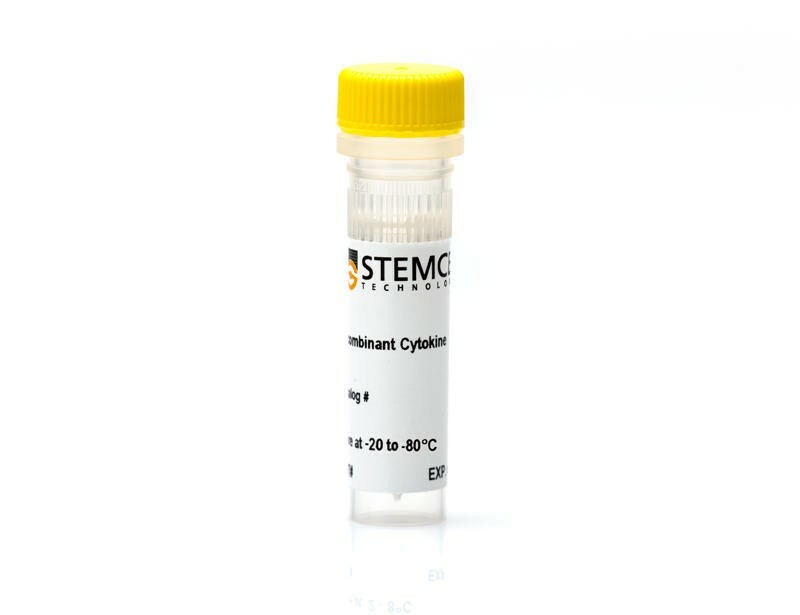 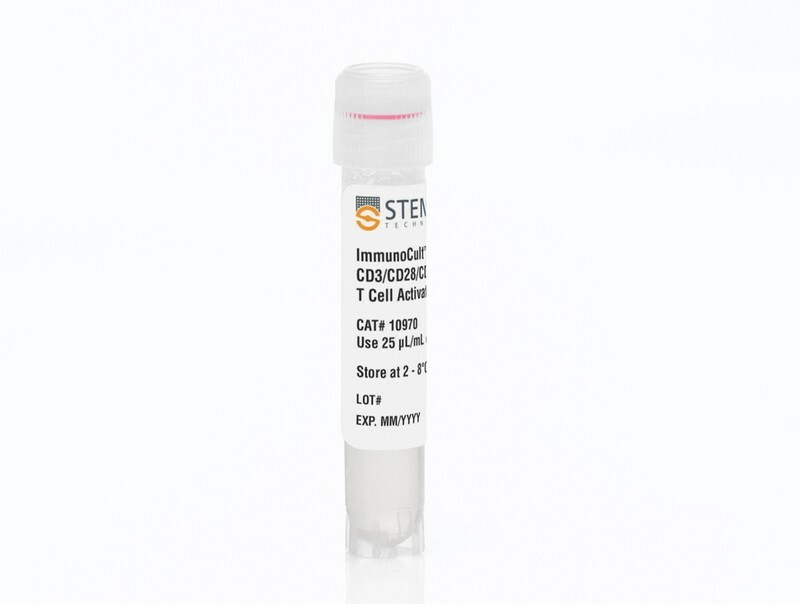 To stimulate T cells, choose from our ImmunoCult™ Human T Cell Activators, reagents designed to activate human T cells in the absence of magnetic beads, feeder cells, or antigen. 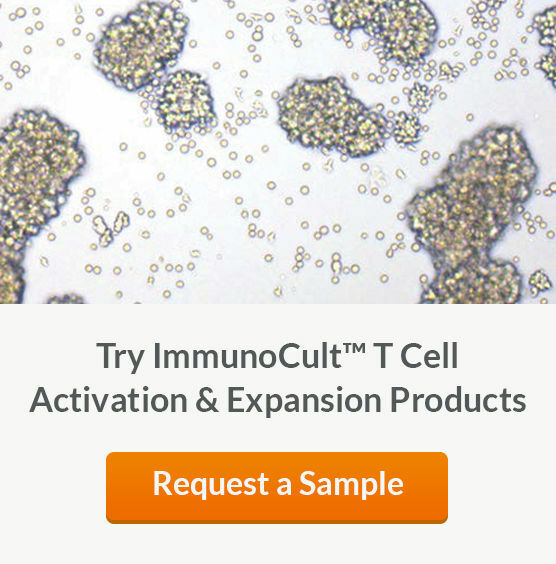 ImmunoCult™ Human T Cell Activators consist of soluble tetrameric antibody complexes that bind and cross-link T cell surface ligands. 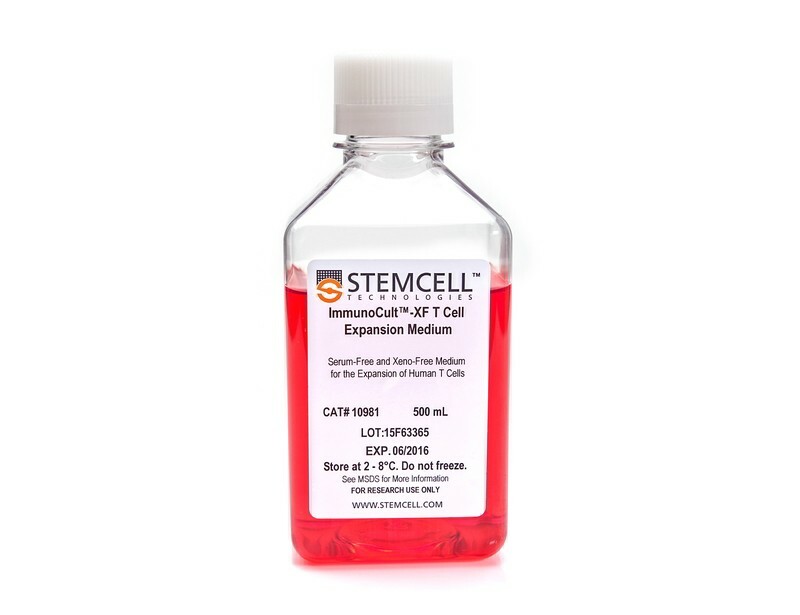 Once activated, T cells can be cultured and expanded in our optimized and serum- and xeno-free ImmunoCult™-XF Expansion Medium.